If you're craving authentic Georgia cooking, you’ll want to make your way to the nearest hometown diner. No other type of restaurant gives you the best home cooked meals, fresh flavors, and solid service all in a single location. Here are the 10 best diners in Georgia. Reminiscent of an old rail car, this 1930s vintage diner is one of two locations of Sandfly BBQ. Patrons love the huge portions of food they get, which can often become two meals for the price of one. Offering both counter and booth service, the atmosphere alone is worth a visit. This diner is an icon of the Buckhead area, satisfying appetites for over 30 years and counting. Bright neon lights and a sleek exterior mirror the vintage flair you find inside. They're fast, friendly service will have you seated, sated, and out the door no time. Having been around for over half a century, the Silver Skillet Restaurant is a true icon of Atlanta History. The restaurant itself has been a focal point in movies, commercials, and other promotions. Not much has changed here in the past 50+ years, including their famous biscuits and homemade lemon icebox pie. Serving of the best southern comfort food since 1948, Steffen’s is a piece of local history. 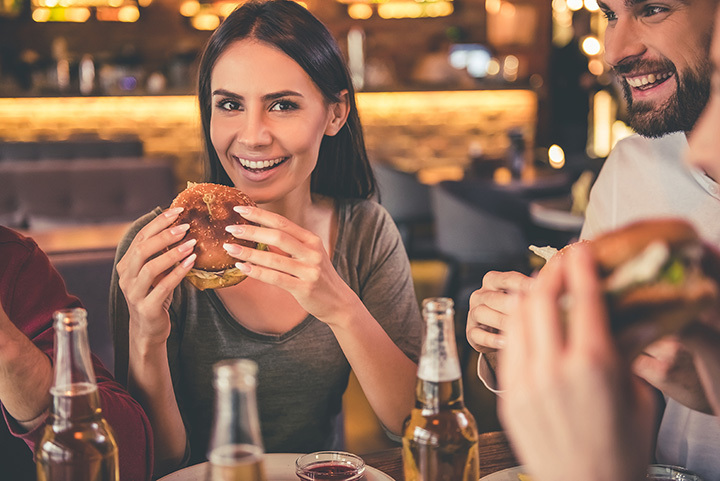 They pride themselves on handcrafted burgers made with fresh meat, never frozen, and all natural ingredients to give you a meal that tastes good and is good for you. In fact, everything here is homemade from scratch, so you can always depend on high-quality. Hart Diner, part cake haven, this place will have you smiling until the very last bite. Hands down, they've got the best dessert for miles around. And their upbeat, vintage vibe makes every dining experience an enjoyable one. A nod to the heyday of muscle cars, this diner is a heaping helping of nostalgia. Fans love the better than average dining food, including things like jalapeno hush puppies and their half-pound footlong hot dog. Their prices and portions are sure to please. This wholesome diner pays homage to the famous “Andy Griffith Show,” with an atmosphere that will make you think you stepped right into Mayberry itself. Their simple menu lets them focus on delivering quality and high flavor. And make sure you save room for one of their famous homemade cakes or pies- in fact, you might just want to start your meal with one. This 24/7 diner is the perfect locale for late-night hankerings or early morning fuel-ups. And everything in between of course. With a stunning breakfast menu, fried favorites, nachos, and Greek dishes, there's a little something for everyone here. This is equal parts fun and tasty. Dishing out breakfast, lunch, and dinner 24 hours a day, you can get a good meal whenever hunger strikes. This is truly a locals favorite hangout, and you know what they say—locals know best. This old-fashioned diner comes complete with neon lights and hometown service. Grab a seat on their vintage swivel-style stools and enjoy the sounds of classic rock and roll as you wait for your meal. And make you make sure you save room for one of their old-fashioned milkshakes or malts, or a homemade dessert—it really makes the meal.